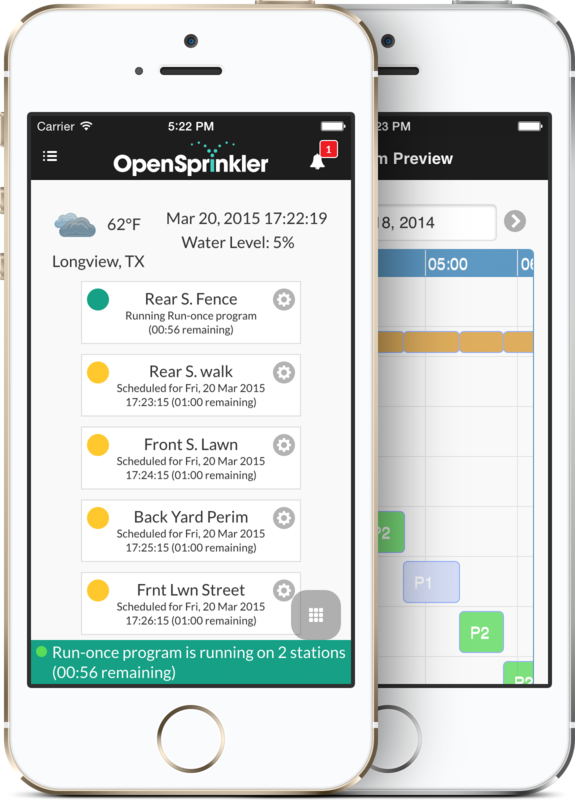 Designed to allow intuitive program management (preview, edit, delete and add), manual control, initiation of a run-once program, viewing graphical and tabulated representations of log data, viewing device status, adjusting rain delay, and changing of OpenSprinkler settings. Compatible with iPhone, iPad and iPod touch. Requires iPhone OS 6.0 or later. WiFi, Edge, or 3G network connection sometimes required. Requires Windows Phone 8.0 and higher. WiFi, Edge, or 3G network connection sometimes required. 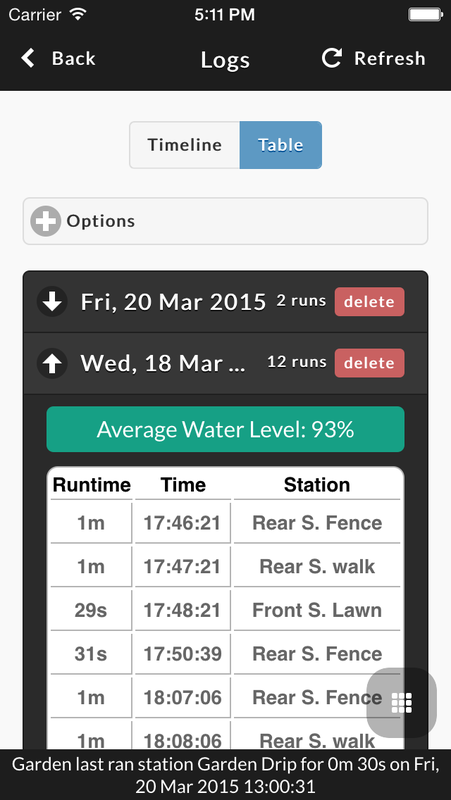 The application allows you to automatically detect and control your OpenSprinkler irrigation system(s). 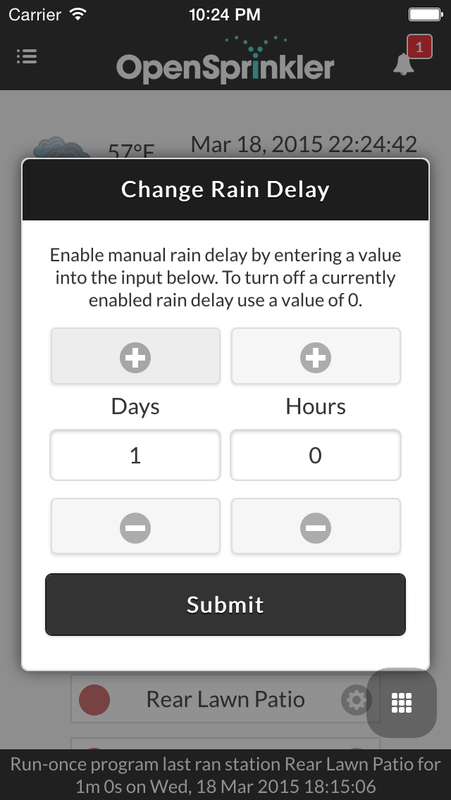 OpenSprinkler is an open-source Internet web-based sprinkler timer / controller built upon the Arduino platform. 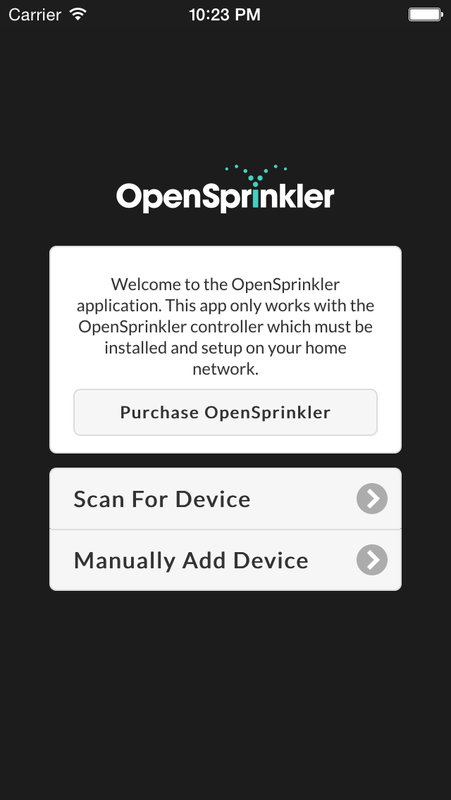 This application requires you own an OpenSprinkler that is properly connected to your network. 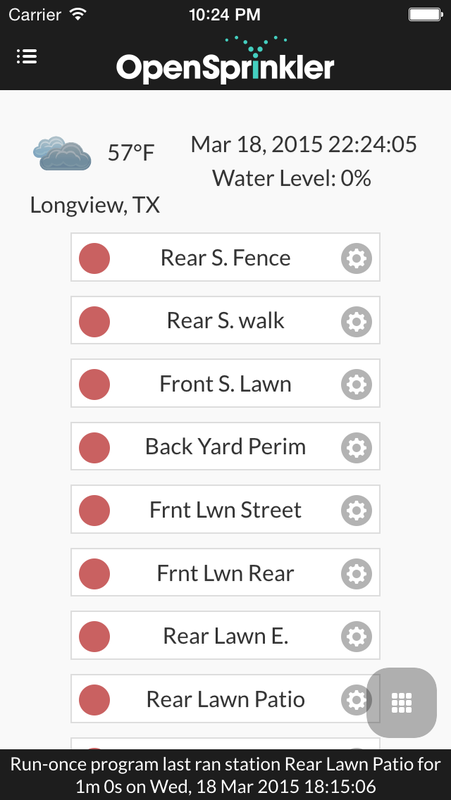 For more information please visit https://opensprinkler.com. This is open source software: source code for this application can be found on Github. Add ability to take and save an image per station on all devices with a camera. Furthermore, if cloud sync is used, images will be shared between all devices. 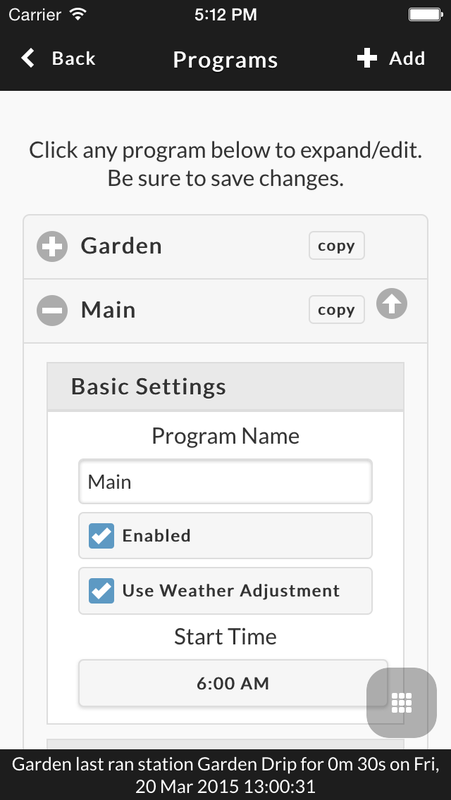 Added Weather Restriction support (requires firmware 2.1.4+) - Weather modifiers can be used to restrict watering. This is introduced for California, which now supports a "California Restriction". This will prevent watering if more than 0.01" of rain has accumulated over the past 48 hours. 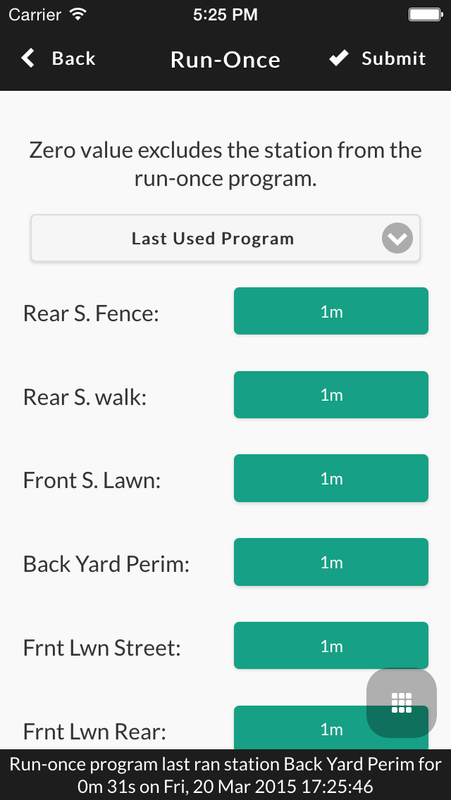 Added sunrise/sunset durations for stations (requires firmware 2.1.4+) - Stations can run from sunrise to sunset or sunset to sunrise which is particularly useful if you are using your OpenSprinkler with lighting. 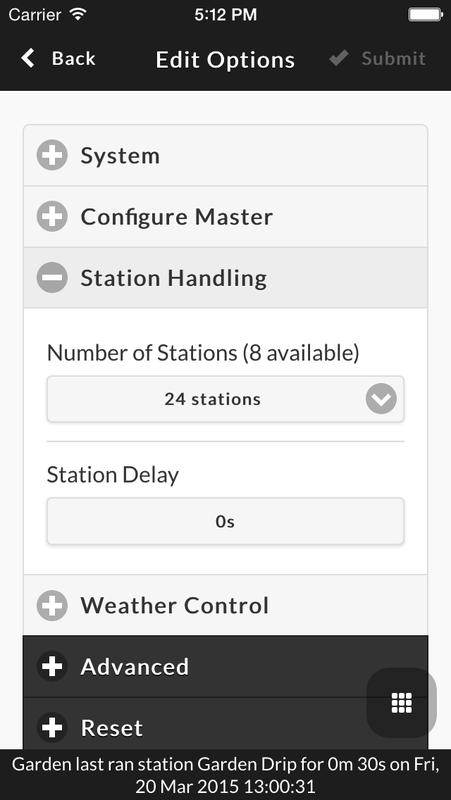 Added support for 2nd master (requires firmware 2.1.4+) - In addition, any station can be set as the master station. Homepage redesign - Now provides a more informative home screen, which blends the previous current status and edit stations page with extended functionality such as manual station queuing. 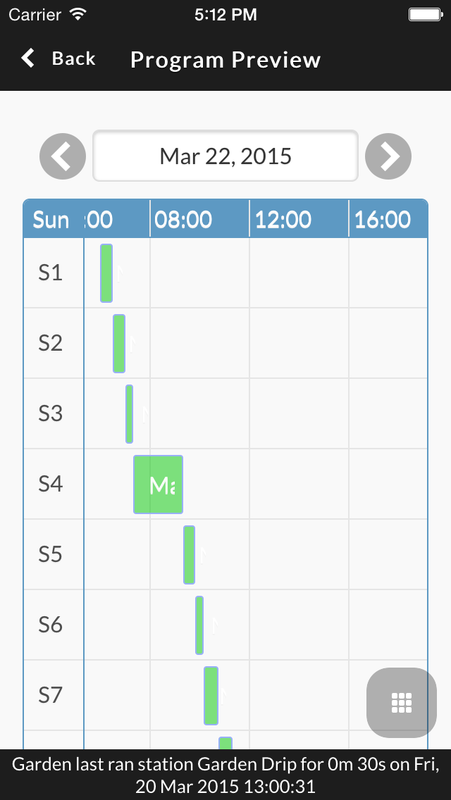 New menu button - Now available on all pages is the menu button, which provides the navigation that was the previous home screen. No need to revert back to home for each page change. 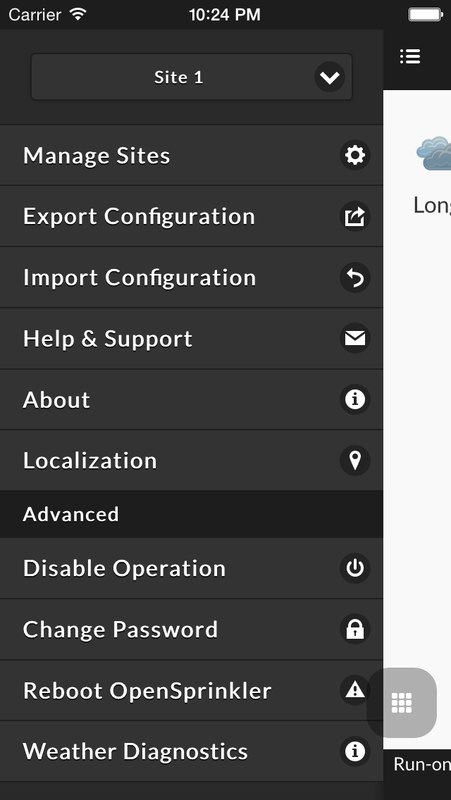 For desktop users, a hot key has been added to this menu by pushing "M" (for menu). 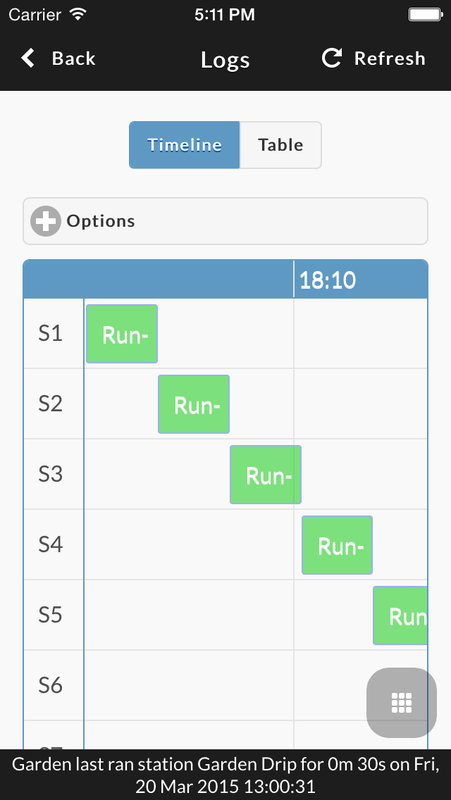 New notification system - Added right side panel, which shows new notifications and allows clearing of all notifications at once. 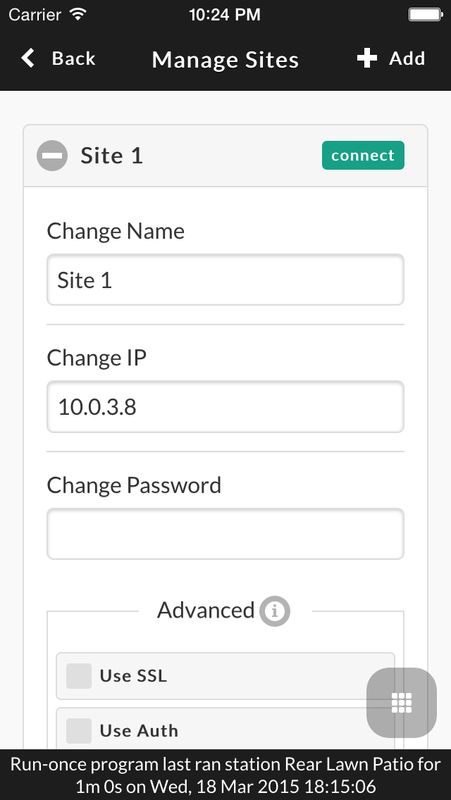 Updated site manager – Now allows editing of basic authentication and SSL settings when behind a proxy. Also moved connect button to the title so connection requires one less tap. The same connect but also indicates whether the site is up (green) or down (red). Please don't hesitate to contact me with any bugs, feature requests or suggestions.